for $1,699,900 with 4 bedrooms and 4 full baths. This 4,000 square foot home was built in 1794 on a lot size of 1.2600 Acre(s). No detail has been overlooked in this architecturally designed, updated home, perfectly sited on Liberty Street in the desirable Barberry Farms neighborhood. 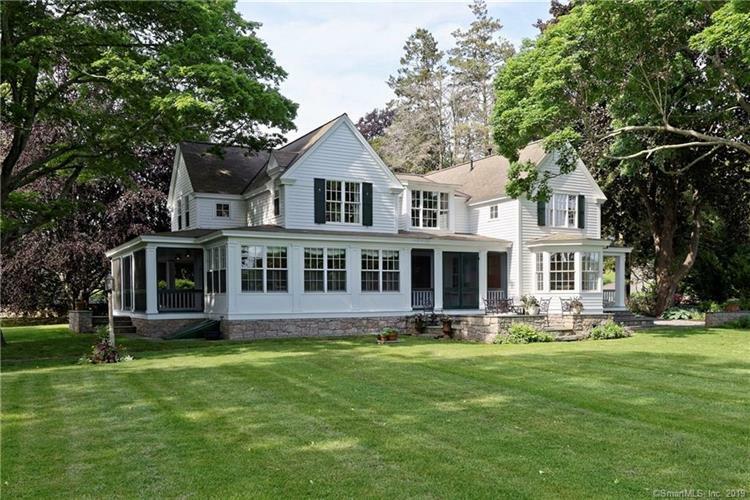 Deeded beach rights provide access to a private, association sandy beach a few steps from this magnificent property which has been featured in many garden and historic home tours. The blend of inside and outside living spaces, from the generous family room located in the center of the home, to the spacious screened porches, all rooms embrace the easy flow of contemporary lifestyle and harmonize with natural surroundings. Features of this exquisite, light-filled home include a gourmet kitchen with eating alcove, a separate English pantry, wide plank hardwood flooring, 3 working fireplaces, 2 offices w/ built-ins, all highlighting the superior crafstmanship throughout this home. The upstairs offers 4 spacious bedrooms with en suite baths plus a generous sitting area with water and garden views. Enjoy time with friends and family on the bluestone patio, a level 1 acre lot that could accommodate a pool, professionally landscaped grounds, offering a parterre garden as well as several outbuildings, including a large two story barn perfect for a workshop, studio or guest house, 2 bay garage, potting shed with heated outdoor shower, and original smokehouse housing irrigation system. The full basement features a wine cellar. This property is not in a flood zone and has low taxes for the area. Shoreline living at its finest.